Are you on your computer around the same time every day either for work or personal reasons, and there’s something that you always seem to forget to do? One way that you can help resolve this problem is with the help of an alarm. But you don’t need to worry about changing the alarm time on your alarm clock, or going out and buying a separate one that you can move around with you. 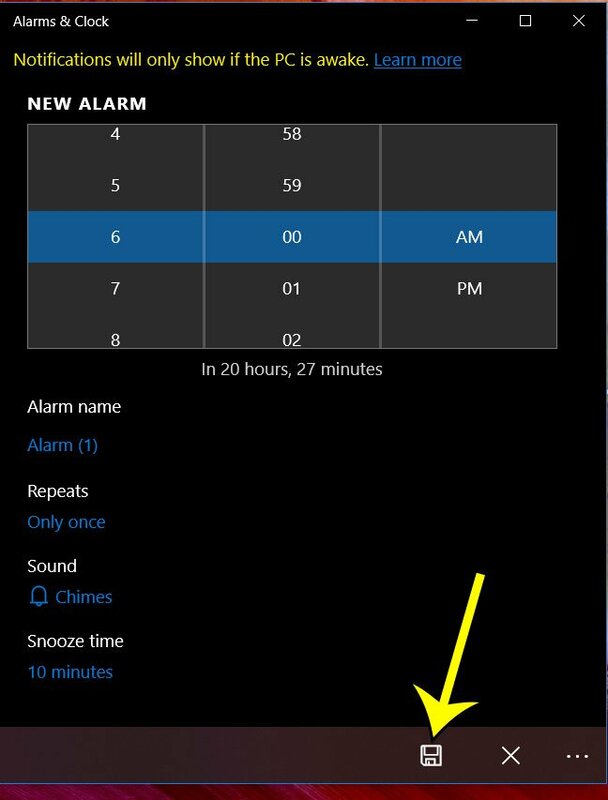 Instead you can elect to use the alarm feature on your Windows 10 computer and create an alarm that goes off at the time of your choosing. The steps in this article were performed on a Windows 10 laptop. 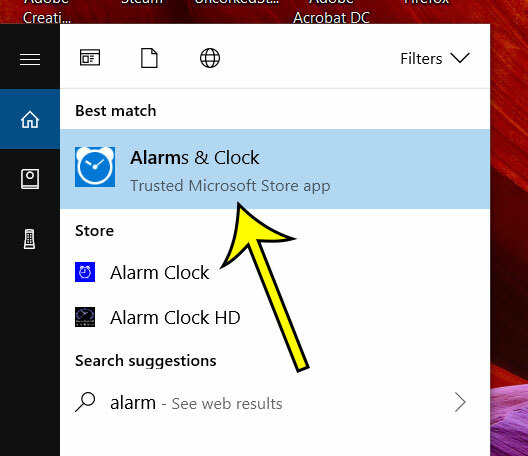 Note that we are using the default Alarms & Clock app found in Windows 10, so you don’t need to download or purchase anything new. 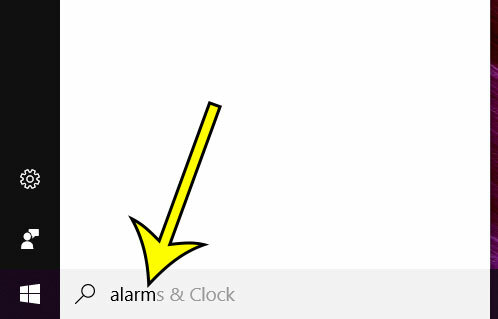 Step 2: Select the Alarms & Clock option at the top of the search results. Step 3: Click the + button at the bottom-right corner of the window. 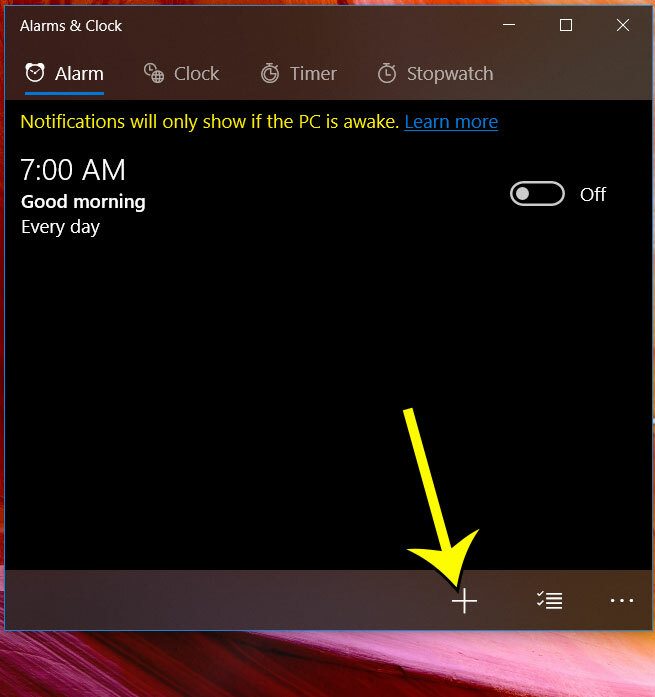 Step 4: Adjust the settings on this screen to correspond to the alarm that you wish to create, then click the Save icon at the bottom of the window. Do you have an iPhone? Find out how to create an alarm on your iPhone and select from most of the same settings that we had in the alarm screen for the step above.